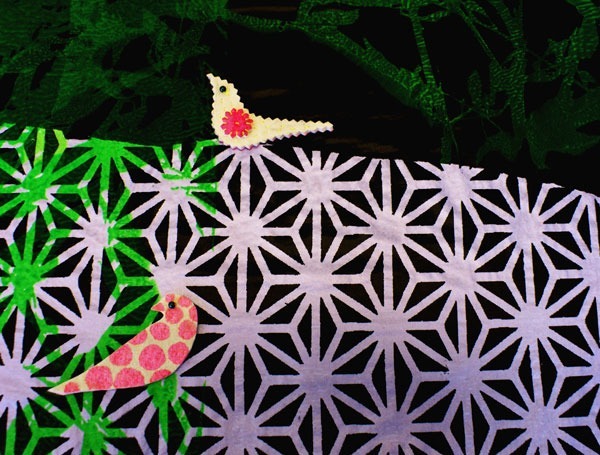 Textile artist Kathy Schicker has produced ground breaking installation and experimentation work. 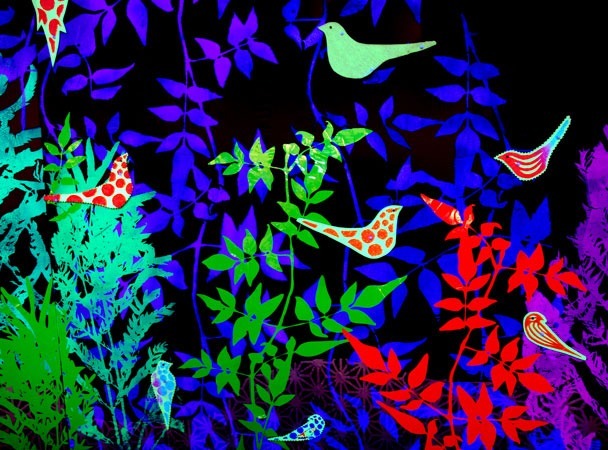 Glow Birds is an installation of hand-printed fluorescent and glow-in-the-dark textiles by Kathy Schicker. The concept evolved through Kathy’s obsession with birds, high-performance fabrics and theatrically lit spaces. The work has been staged in a number of international exhibitions, but was originally created for the London Design Festival 2009, in collaboration with Toray Fabric Ltd and Ercol Furniture. The installation consists of a fluorescent hand-printed wallpaper design on Toray high-performance sports fabric, decorated with individually handcrafted glow-in-the-dark birds and a selection of Ercol classic furniture in black. 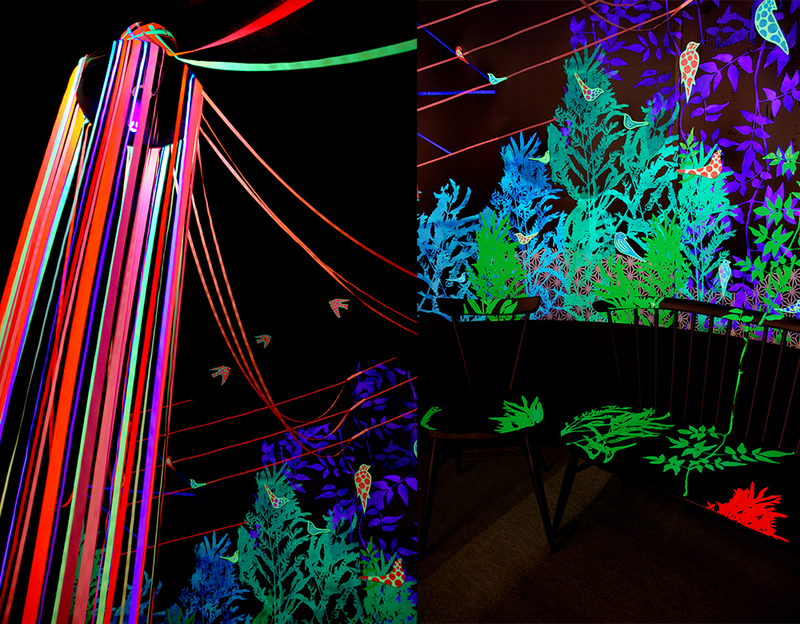 It functions as a dark space lit with UV light: as the viewer enters the lights are on and the whole installation is visible, but when they lights are off, the viewer is left only with the magic of the glowing birds, seemingly flying through the space.